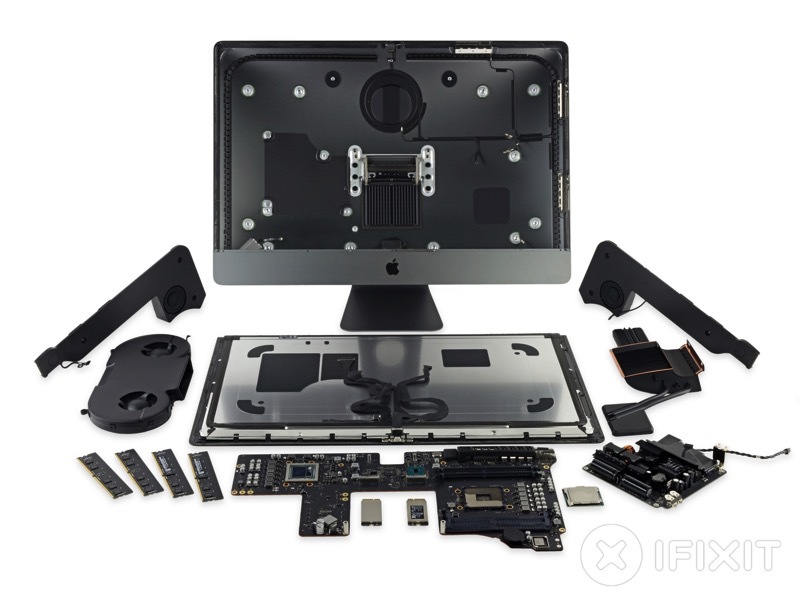 The teardown experts at iFixit have dismantled the ‘entry’ level iMac Pro, which retails for $4999 USD, or $6299 in Canada. The teardown reveals a huge dual-fan cooler, while an external RAM access hatch is not present, to make way for a huge rear vent, which adds an 80% increase in cooling capacity. 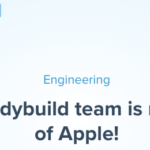 You won’t be able to swap RAM out easily like you could on 27-inch iMacs, as RAM is deep within the main logic board. iFixit also says underneath a huge heatsink sits the GPU, soldered in place, while on the opposite side the Xeon processor is not. The CPU looks to be a custom-made chip by Intel for Apple, but at this point there’s no word on whether a DIY CPU upgrade is possible. We also get a look at the new T2 chip, which contains the computer’s Secure Enclave and a hardware encryption engine. As for the display, it’s the same found in the 5K iMac, an LG Display model LM270QQ1. iFixit says they were able to reassemble the iMac Pro “just fine” and will later test it out as a gaming rig.